Glastonbury based Nick Parker started gigging in his early teens playing mandolin and singing in folk/rock/skiffle band ‘Why?’, and spent the next 10 years bouncing around on stages at hundreds of venues and festivals around the UK and Europe. In 1998 Nick called it a day with Why? and started guitar band ‘Tobermory’. After various false starts, a few flirtations with industry ‘big’ boys and a few tours in Germany, Tobermory played their last gig in 2004. In 2010 Nick embarked on a solo career and has since released three full-length albums, 2010’s ‘The King of False Alarms’ and 2014’s ‘Angry Pork and the Occasional Bird’ and last year’s ‘Besta Venya’, tracks from which have been played on various BBC6Music shows. Over the years Nick has had the pleasure of sharing the stage with The Wedding Present, Bright Eyes, Ben Marwood, Frank Turner, Mike Peters and Mike Scott among others, and he regularly tours with Bristol based Gaz Brookfield (as a separate act, but also playing mandolin in his band). Nick’s songs are often tongue-in-cheek and cheerful, and on the rare occasion when fun IS poked it is always with a wry smile and an element of satire. 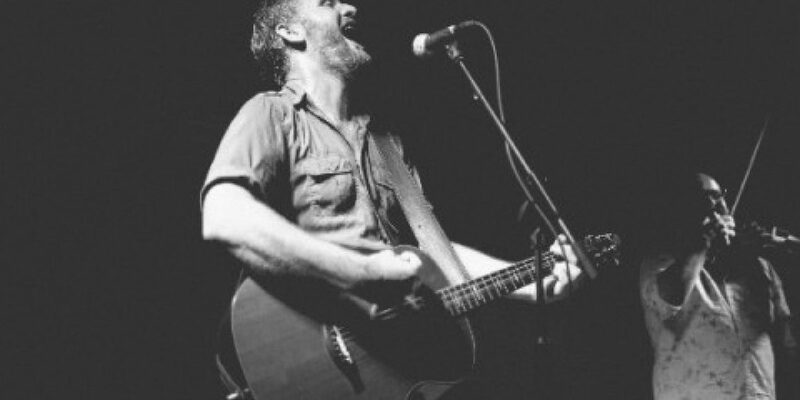 Although primarily a solo effort Nick often plays with his band ‘Nick Parker and the False Alarms’ which is a folky/rocky/country affair using guitars, fiddle, pedal steel, mandolin, bass and drums. Over the last few years they have played at many festivals including Farmer Phil’s, Chagstock, Glastonbury and Lakefest among many others.